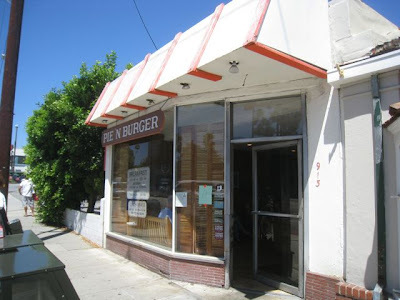 Pie ‘n Burger in Pasadena was recently voted best pie in L.A. We had also read the burger was very good as well. On our way out of L.A. my wife Pat and I swung through Pasadena to check it out. Pie ‘n Burger’s interior is like a museum piece. Faux wood formica counter is the original from the restaurant opening in 1963. There were Oak chairs like those in my house when I was a kid, we. The current owner ate there as a kid and started working at Pie 'n Burger when he was a USC student in 1972. He never left. He has kept much of the original staff and the menu has barely changed. When we walked in the U.S. Olympic basketball team was on the TV. I had to check that it wasn’t a game from the 70s when the U.S. was dominant in basketball. All the tables where packed, so we sat at the counter which wound around the grill. We each ordered a Cheeseburger ($6.50), fries ($3.55), pecan pie ($3.65) and peach pie ($4.25). The burgers were 4 ounces of fresh beef, griddled with melted American cheese. They came with iceberg lettuce, crisp pickle chips and thousand-island dressing. The bun was crisply grilled on the griddle. 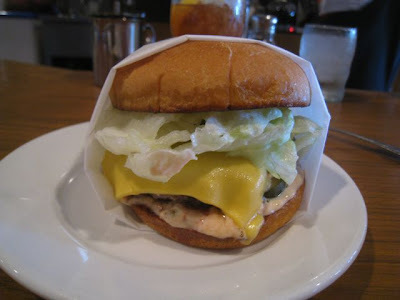 This is a classic burger. Kind of like a big version of In-N-Out. Pat’s was plain. We both really liked our burgers. The fries were medium cut, no skins form frozen potatoes. They were hot and salted perfectly. Very good. 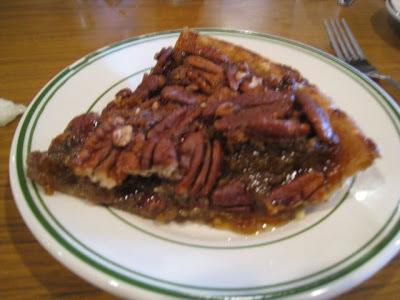 I also liked the pecan pie. As I ate it, I was transported back to the 70s. Eating my grandmas pecan pie while watching the U.S. stomp the field in Olympic basketball on the Zenith console TV. this place is so goood i love it.